Sean W. Fallon watched Halloween (1978) for the first time. It is shameful that it took me so long to get around to watching this movie. I love horror, and I love John Carpenter and yet had never seen this movie. I was worried it wouldn’t hold up, and yet it was incredible. The score, the scares, and the Shape are all still iconic, and this was the first horror movie I’ve watched in a long time that lingered with me long enough to mean that I ran to the shop to buy milk for fear that I was being followed. If that isn’t a shining endorsement of a horror movie, then nothing is. David Shreve, Jr. watched It’s Such a Beautiful Day for the first time. I’m admittedly not reaching very far back into the history of cinema, but when our staff began compiling its Best Films of the Half-Decade list in January of 2015, I took it upon myself to watch all of the nominees. Don Hertzfeldt’s animated 2012 film resonated with me on a very personal level, which I alluded to a few months later when I wrote about Bill Murray Groundhog Day and apeirophobia. Since the publication of that list, I’ve watched It’s Such a Beautiful Day five times, and each has felt like a tremendously necessary viewing. Josh Rosenfield watched Miami Vice for the first time. After spending months befuddled over the adoration for director Michael Mann among many of my friends and colleagues, I decided to absorb as much of his work as I could over the course of about a month. I was immediately struck by the singular visual acumen in his early works and delighted by the use of digital cinematography in his later works. 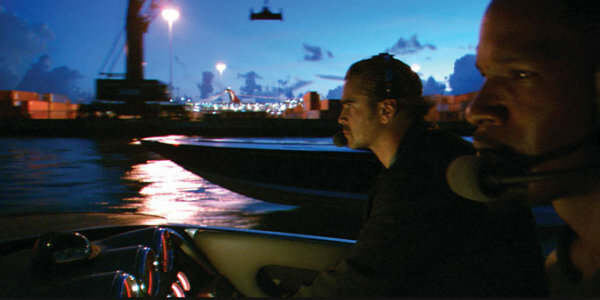 But my favorite of his films was Miami Vice, an avant-garde digital wonderland of color and light. I took screencap after screencap, bewitched by Mann’s compositions. Mann is working on a level of visual and auditory abstraction which is unheard of in mainstream Hollywood. I finally get it now. Jason Ooi watched Psycho for the first time. In a shameful disclosure, not only did this year my mark my first viewing of Psycho, but also of any Alfred Hitchcock movie in general. It happened a week after I decided to be more stingy with considering movies a perfect 10 out of 10, when it was re-released in theaters for a day, and, needless to say, walking out of the theater, I couldn’t help but consider it perfect. It would be wrong to think otherwise (save for one scene near the end that felt fairly unnecessary but perhaps a product of its time period? I don’t know, it wasn’t bad enough for it to really detract from the experience). Knowing the ending wasn’t enough to keep me from scratching my head trying to solve its mystery, completely tense with fear, or not entirely captivated the entire way through. 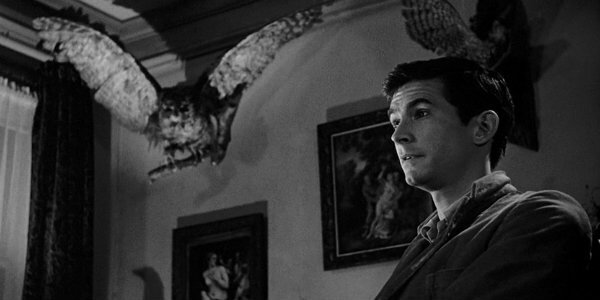 Psycho, after more than half a century, still feels fresh and thrilling. Richard Newby watched Take Shelter for the first time. 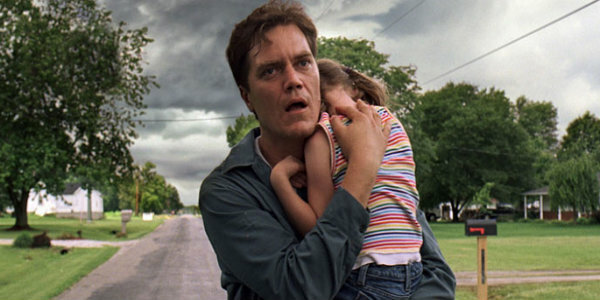 Take Shelter has admittedly been on my watch list for a while, and after Jeff Nichols’ Mud made my Best of 2012 list, it became even more imperative that I watch his previous film. Unfortunately, without instant streaming access to the film, this imperative necessity took me longer than it should have. But I made good on my promise this year, and boy, what a film! I’ve already stated my love for Michael Shannon many times over, but he delivers what may be his greatest performance so far in this film. And Jessica Chastain is impeccable as usual. There’s a subtle horror to the story, not simply in apocalyptic premonitions but in disbelief and doubt in face of something you know with all your being to be true. Matched with a convincing portrait of American life that feels straight out of a Stephen King novel, Take Shelter‘s small-scale makes an unshakable impact on cinema’s discussion and depiction of mental illness, faith, and community. This film also led me to Shotgun Stories and my ability to confidently state that Jeff Nichols displays the kind of authorial sense of place that hasn’t been displayed so concretely since the high-points of American New Wave. 2015 was the year I officially came out of the closet. Throughout my entire adult life I’ve managed to avoid admitting that I had never seen a single installment of this titular trilogy, always maintaining enough of a working knowledge to confidently hold my own in a conversation filled with Brando impersonations and horse head references. The length seemed daunting, and I felt as though I knew enough about the film that it wouldn’t make much of a difference, but boy was I wrong. The brilliance of this film and the layered complexity of the story Francis Coppola weaved is astounding even for 2015 filmmaking, nevermind the fact it was made in 1972. The final twenty minutes of The Godfather might be the best sequence in a film I have ever seen. Few films find the right balance between darkness and light, comedy and tragedy. It’s A Wonderful Life did it, Fargo did it (and continues to do it); The Apartment did it. The only other Billy Wilder film I have seen is Some Like It Hot, and that’s easily one of my favourite comedies of all time, so after seeing this I’m on a mission to see all of his films. Shirley MacLean is so charismatic, with an edge of melancholy to her performance that tells of suffering in her past without words. Fran is one of the most detailed female characters in cinema, and she has great company in Jack Lemmon’s C.C. Baxter. He’s never too much of a good or a bad guy, instead he is relatable, flawed, and liable to make mistakes. Whether he’s wallowing in self-pity or desperately seeking affection, Lemmon nails it. He is always either heart-breaking or hilarious, and often both at the same time. @WeTalkMovies Saw a lot of great older films for the 1st time. To Kill A Mockingbird, I Saw The Devil , and Attack The Block stand out. @WeTalkMovies BROKEBACK MOUNTAIN. I wish I knew how to quit that movie. @WeTalkMovies Pan’s Labyrinth stands out for me.